If you want to keep shooting big deer with a bow, you have to learn everything that you can about how deer see, hear and smell. After that, you have to come up with ways to negate their great senses. 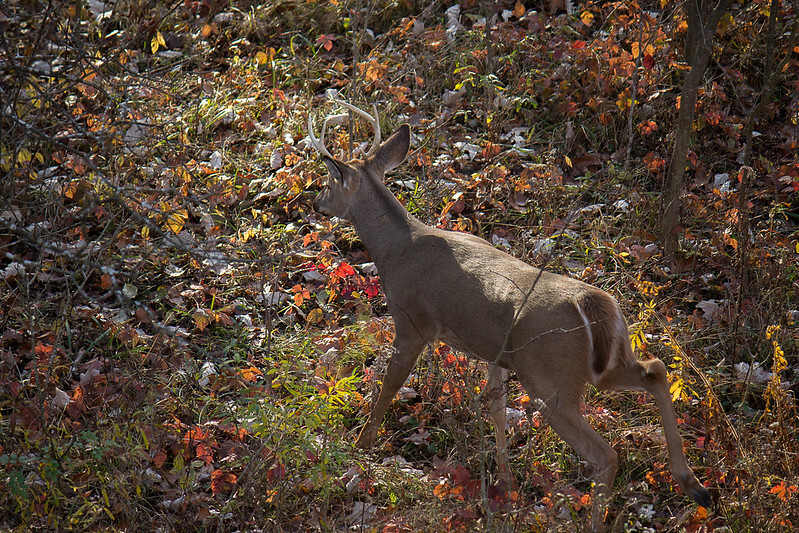 Here are 3 things that might help you understand deer better. Deer have a broad field of view. Deer can hear like humans. There have been some intensive studies on the vision of a whitetail and the researchers behind the studies have come to find various things. For starters, deer can see around five times better than people, but they also seem to be far-sighted. Aside from that, they can see blue and yellow shades, but have difficulties seeing green and red shades. The eyes of a deer can also detect even the smallest hints of movement, but they need to see a stationary object from various angles in order to see it properly. This is why deer tend to shift and bob their heads in different directions so often. Having said that, it would therefore be vital for you to move as little as possible whenever you are trying to shoot deer and not to wear anything blue and yellow. According to biologists, the range of a whitetail’s peripheral vision lies from 250 degrees to 270 degrees. This is why deer can easily scan the woods and feel the movements of predators nearby. While deer are great at sensing predators below the horizon, though, they aren’t that great at sensing them above the horizon. This is why hunters tend to do better on tree stands than on the ground. You have to be very careful, though. Generally speaking, if a deer 100 yards out suddenly approaches your stand, you have to sit as still as possible. Keep in mind that deer have a broad field of view. This means that they can sense even the smallest movements. As such, you should only move when the eyes and head of the deer go behind cover. Some scientists have placed deer in sound chambers to monitor their brainwaves and see how they respond to various frequencies and sounds. By doing this, they learned that deer actually hear the exact same way that humans do. So, even though deer tend to vocalize at lower frequencies than humans do, they can hear similarly. The only difference is that deer can also detect sounds at very high frequencies, which people cannot do. A lot of hunters mistakenly assume that deer can hear better than humans, but that isn’t actually the case. If you ever see a deer tip its ears back to listen to the woods, it simply means that it is reacting to potentially dangerous sounds around it the same way that a human would look around when a car horn suddenly sounds off nearby. So, as long as you don’t make a lot of noise that could spook deer outright or make them roll their ears, stand up straight and look your way, you don’t really have much to worry about in terms of deer hearing you. A deer’s ears really aren’t very hard to beat. You simply need to use your common sense and be as quiet as you can possibly be.